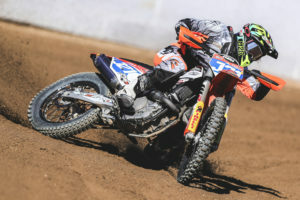 KTM’S JARROD BROOK WINS FOUR FROM FIVE. You are here: Home › KTM’S JARROD BROOK WINS FOUR FROM FIVE. 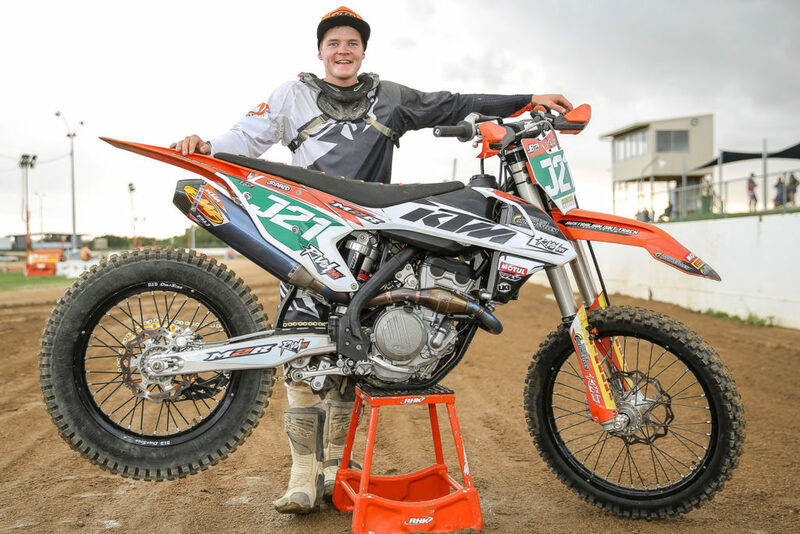 Jarrod Brook wins four out of five Queensland Long Track Championships on his KTM 250 SX-F and 450 SX-F.
Jarrod, a 19-year-old carpenter from Gympie, won every single heat and final across the weekend, with the exception of one Pro Unlimited final. 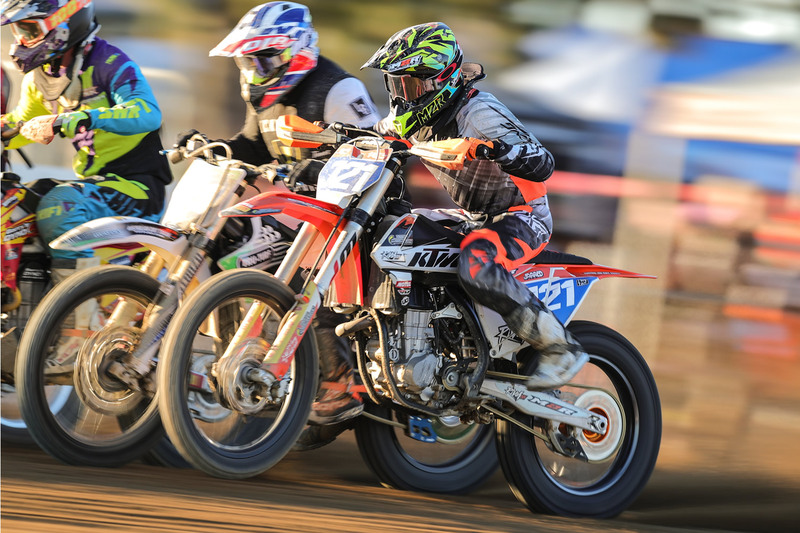 Battling a quality field from all over Australia, Brook won the Pro Open, Pro 450, MX Open, Pro 250 and U19 classes. â€œI tried to keep my mind focused and nail my starts every time â€“ it makes it a lot easier when youâ€™re not getting rocks thrown at you!â€ Jarrod said after the meeting. Jarrod is also juggling a fledgling road racing career, with his dirt track season. In August he will be back on his KTM RC390 competing in Round 4 of the ASBK titles, in the â€˜Battle of the LAMS bikesâ€™ 300cc class. Adapting his very rear-wheel-steering dirt style to road racing to open up potential career options on the tar is still high on his list of priorities. â€œIâ€™m getting faster and faster and learning more each time I ride on the tar. Learning how to set it up better, and how to change my style. Itâ€™s pretty hard to compare dirt track to the road bike – theyâ€™re completely different animals to ride! Completely different styles and your actions have to be smoother and more flowing on the tar, you canâ€™t just turn it and point and shoot like a dirt bike. But we definitely still have an eye on road racing in America or Europe as a career goal.â€ Jarrod said. previous post: Fancy Riding Across the Nullarbor Plains? Dont Leave Home Without Your Highway Pegs.